Prominent & Leading Manufacturer from Gandhinagar, we offer textile machinery part and textiles machinery parts. 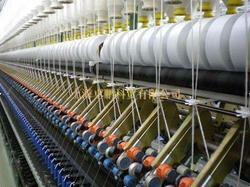 We manufacture and supply the premium quality of Textile Machinery Part. Used in various textile machines, the offered textile machinery parts are known for their dimensional accuracy, easy installation and durable constructions. To precisely design the offered textile machinery part, we make use of latest technology. Machine : Reiter, L.R (LMW) LR6, LR8, LR9, LR7 machines, Texaco, KTTM, MMC, Mazroli, Zinser, Textool, suessen ISHIKAWA , RIETER , ZINSER , MAZROLI, SUESSEN ,HIMSON , AAWADHKRUPA , LAXMI NARAYAN INDUSTRIES (LNI), JMW , HAZUR MAKINA , ALLMA , MINARVA, BIRKO AS , GIESSE , MILHAN MAKINA, HUZUR MAKINA etc. Precision parts, higher performance and upgrade of existing establishments.